While spices warm up holiday desserts in a delightful way, I love cinnamon accents in savory dishes such as this Mexican corn and bean soup. 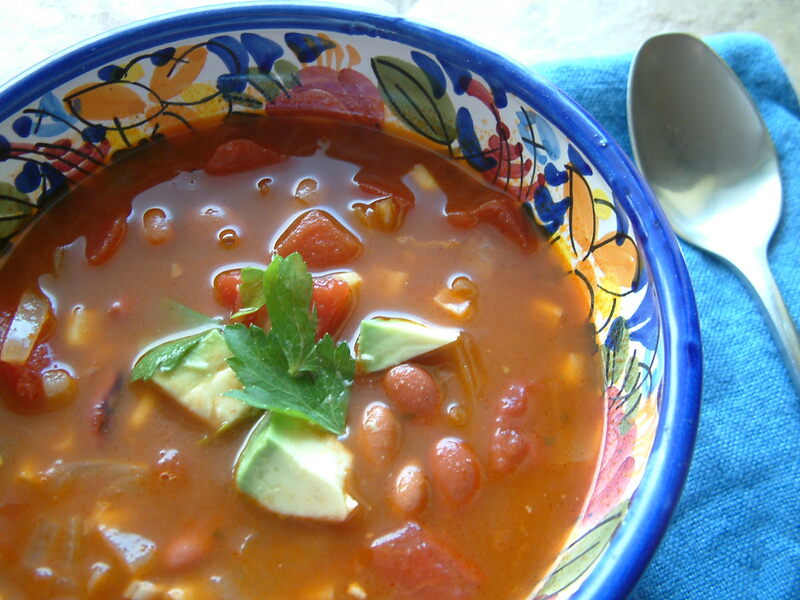 Especially with a bean soup that is packed with good-for-you nutrition, a dash of cinnamon makes it seem a little less sensible and little more adventurous. The other reason I like this soup is that it is easy to make and serves at least 6. Making big batches of soup is perfect for winter lunches and quick dinners. It will give you plenty to share if you do a soup swap with friends at work. (Try it!) I used canned beans and have no apologies. If you have extra time on your hands, and want to take the extra step, soak the dried kidney and pinto beans overnight before assembling your soup. Garnish with some diced avocado and fresh cilantro on top, settle some tortilla chips on the side, and then let the little bit heat from chili powder power your imagination to carry you far, far away from wintry weather. 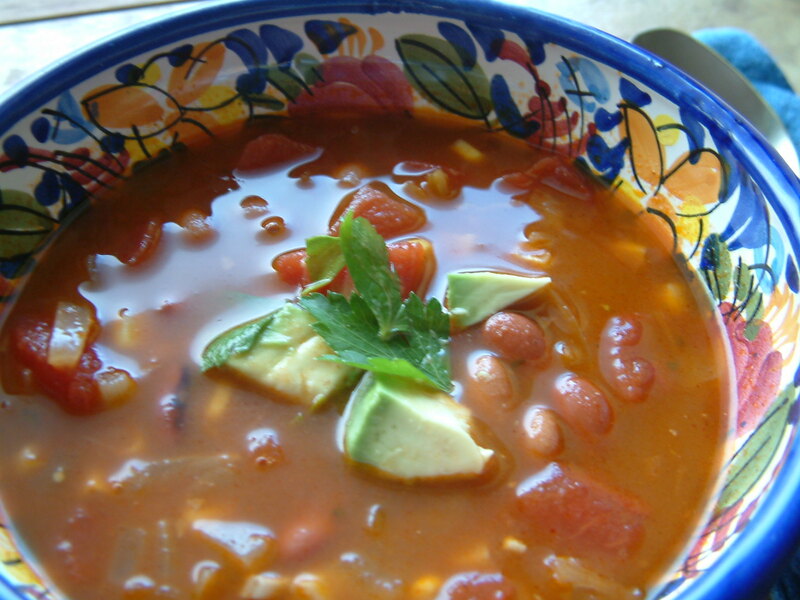 This recipe for Mexican corn and bean soup is from one of our Stir It Up! bloggers, Sarah Murphy-Kangas who blogs at In Praise of Leftovers. In a large stockpot, saute onion and garlic in olive oil until soft and translucent, about 10 minutes. Mix chili powder, cumin, cinnamon, salt, and sugar with a couple tablespoons of water to form a paste. Add paste to onions along with tomatoes, beans, and corn. Add enough water to cover by 1 inch, bring to a boil, then turn down and simmer for about 20 minutes, until flavors meld. Taste and add more salt if you want. Add chopped cilantro at the end and serve with garnishes. This sounds yummy! I think I may just have to try it! 🙂 Thanks for sharing on your blog as well.